I got to escape the cold with a quick trip to San Francisco and Half Moon Bay for work last week. I couldn’t have needed it any more…I could feel the warm air as soon as I exited the plane. 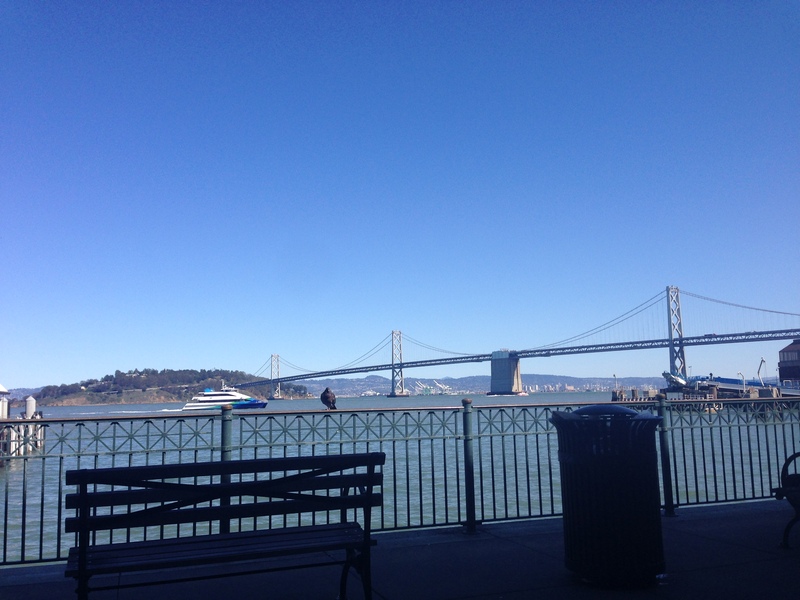 Dinner with a friend and day in the San Francisco office…was great. I also took advantage of lunch to head next door to the Ferry Building. After checking out all my options, I went with the Beef Pho from Out the Door, the takeout of the Slanted Door which I love. I went outside and sat on the bench, enjoying the view and lunch. And just a few shots of the office which is out on the pier. Great space. I even lucked into a cocktail reception for work that night, right next door at La Mar.